After a few summer days on the streets of Rome one can easily fall out of love with Italy. Monument hopping in 80 degrees with herds of tourists, stopping occasionally for ridiculously priced (and not very impressive) plates of pasta, is not the Italy most of us dream of. Now don’t get me wrong. Show me the Colosseum on a cool fall afternoon, or put me in line at the Vatican on a temperate spring morning and I will be wowed. But in July, with sweat dripping down my back, as I squint to see the historic sights through the blazing sun, I’m really more interested in cooling off with a generous scoop of gelato than advancing my knowledge of Roman history. There are some things people should not do outside of summer (like wear white shorts) and there are some things people should never do in summer (like go to Rome). 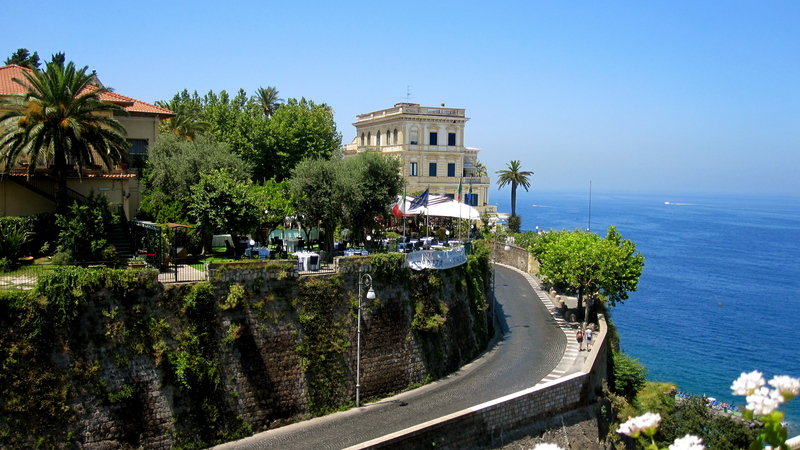 But then there is Sorrento. 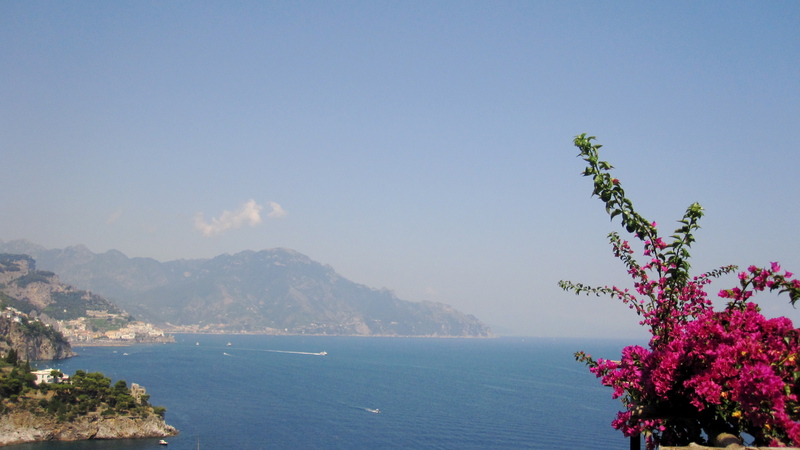 As soon as my ferry pulled up to the colorful, quaint town I thought, “Now this is Italy.” Arriving in Sorrento was an instant aphrodisiac—the spark was back, and the romance Italy and I once had (if only in my dreams) was fully restored. 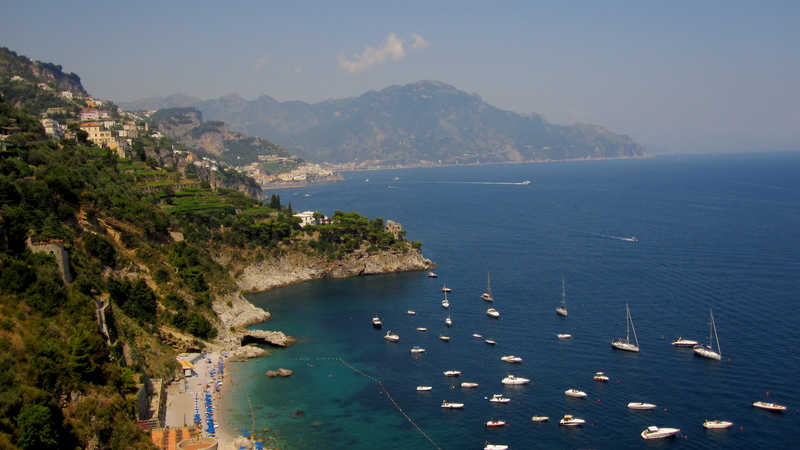 Some stop in Sorrento on way to Capri but I was bus bound; next stop Amalfi. Did driving along swirly roads, separated from an ocean plunge only by a short wall unsettle me? Just a tad. But once the wheels were rolling and my silent movie of scenery began to play through the foggy, graffiti tagged window, my nerves were replaced with lust and awe. The translucent turquoise water that meets the rocky coast looked so refreshing it took all of my strength not to dive in as the bus ride concluded. But obediently I checked into my hotel and changed my attire for more appropriate garments (i.e. a bikini). Walking through Amalfi one thing is for sure—lemons. Big, plump lemons showcased storefront, lemon cookies, limoncello… and my personal favorite, Granita di Limone. Granitas are delicious, frozen drinks perfect for cutting the heat on a hot summer day in Amalfi. Do yourself a favor and spike your granita with a shot of vodka (mini bottles are for sale in most street stores) and walk down to the beach. Access is free but chairs aren’t, so keep cash on hand. 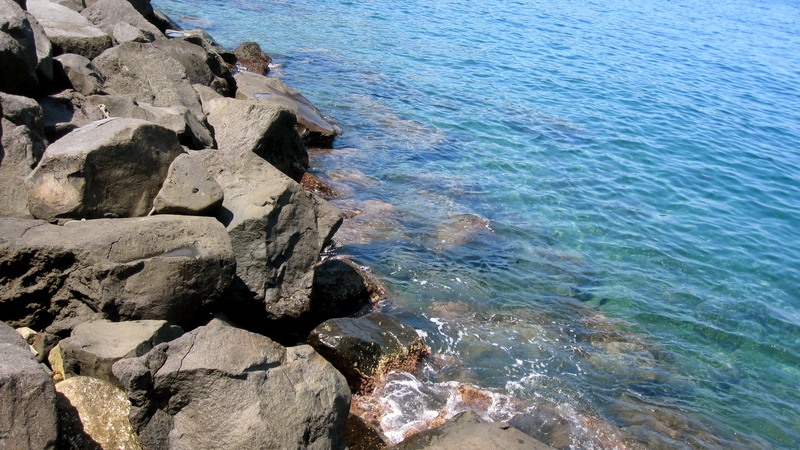 One dip in the Med and memories of my Roman nightmare melted away. Dinner that night, of fresh fish and chilled wine, made up for dozens of dishes of spaghetti. 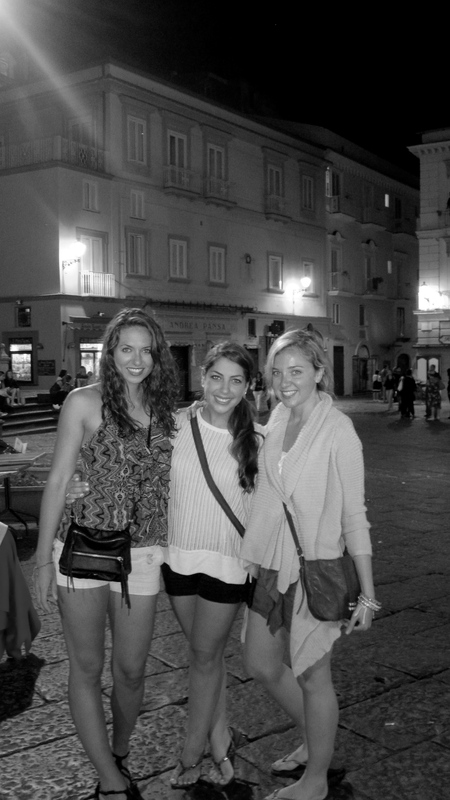 And the energetic Italian gentlemen, offering me and my friends invitations of gelato, limoncello, and dancing helped me realize that’s exactly what a girl wants when coming to Italy. Ocean access, lemon-infused beverages, good food and nights spent dancing till dawn… Dolce vita.